We understand the pressure you are under. Know your rights! Call NOW for EXPERIENCED representation. Need an attorney in Bullhead City, Arizona? 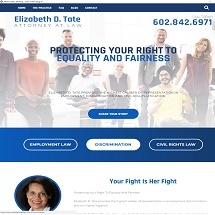 Use the contact form on the profiles to connect with a Bullhead City, Arizona attorney for legal advice.